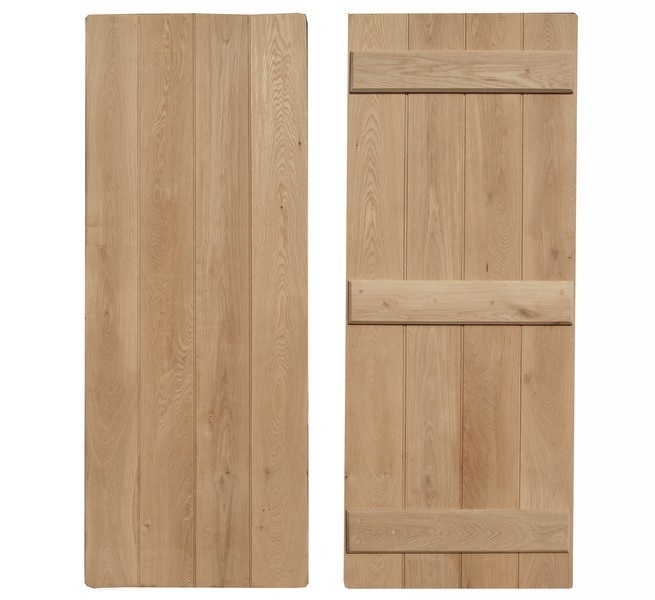 Our internal bespoke oak doors are made from high quality English oak. 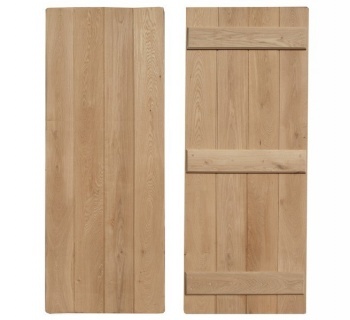 We use character grade oak which has knots giving the doors a lovely traditional look. The pictures to the left illustrate the unfinished oak. They are made in a traditional way with a victorian bead and wide plank oak boards. Available in various styles. The doors are made in our own workshops so if you have a special requirement contact our sales department and we can provide a quote. All our doors are made to measure for the prices below. The average lead time on our doors is 2/3 weeks from order and we deliver nationwide. We needed 14 doors for our barn conversion, Period House Store were able to offer bespoke sizes at an affordable price. The doors are stunning far better than our local builders merchant and available in made to measure sizes.